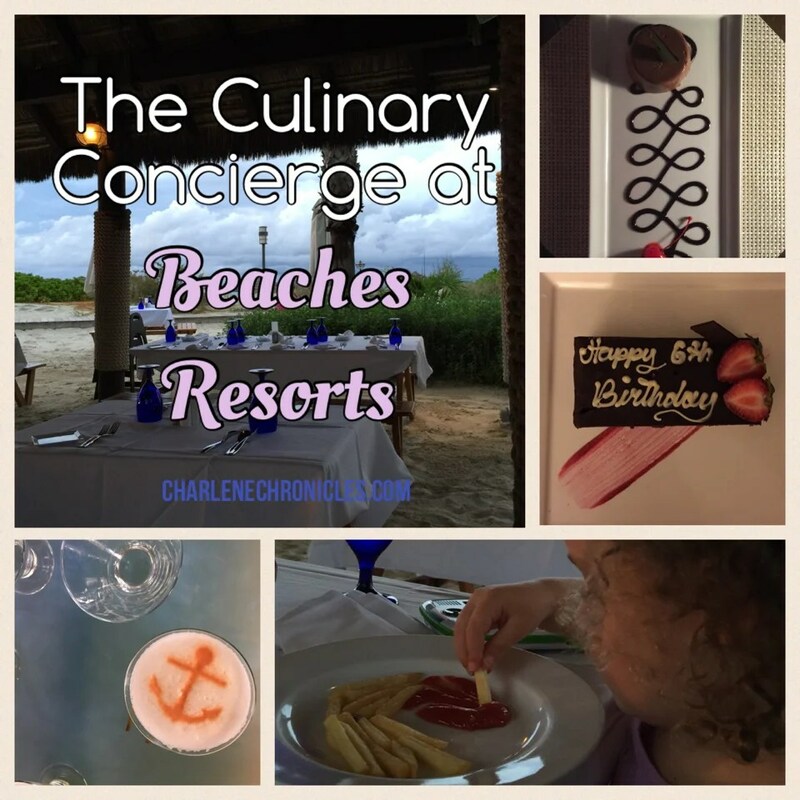 Food allergies and food restrictions are a piece of gluten-free, dairy-free, soy-free, coconut free cake for the Culinary Concierge at Beaches Resorts. Have you ever heard of a culinary concierge? Sounds pretty fancy, right? Well, they are part of the Beaches Resort team to put parents, kids and families at ease when dining at Beaches Resort when a child has a food allergy, food sensitivity, food intolerance or food disorder. If you are planning a vacation to a Beaches Resort and you, or your child, have the need for food prepared a certain way, or need certain kinds of food, then at least a month before your stay, get in touch with the Beaches Resort Special Needs team with your request. For example, let’s say that there is only one type of yogurt your child can eat. They will let you know the name brand of the yogurt that is on site, or the brands they are able to procure. They can provide the ingredients if requested as well. Alternatively, let’s say that your child will only eat Macaroni and Cheese and only the Annie’s Mac & Cheese brand. They can work with you on that. Or if you are gluten free, they will show you the meals available on property and even work over some meals to make sure you have options. When you arrive, just make sure you notify your reception desk that you have been in contact with the Culinary Conceirge. They will arrange for you to also speak directly with one of the chefs on staff to follow up on your needs. You are given a form where you can indicate where you will be dining each day and each meal, and you fill out the form each morning indicating when and where you will be dining, how many in your party (and how many need the special meal). Drop it off at the Culinary Concierge office or in the drop box at the front desk. So, you are not limited to one restaurant when vacationing at Beaches Resort. You can enjoy every part of the Beaches Resort and everyone in the family can be together. As an FYI, if your child is participating in the kids camps for the day, they go to lunch as a group. When you check your child into the camp, they ask about allergies, but it is also worth submitting the Culinary Concierge form indicating your child will be in the kids camp and dining with the group. At the Beaches Resort on Turks and Caicos, they dine at the Arizona’s Restaurant for lunch so you just have to indicate what they can eat on the form. It may be a small mention on the Beaches Resort website, but the culinary concierge is a truly valuable addition to the all-inclusive vacation where everyone in your family can be included in dining together while on vacation. For Moms and Dads who spend many days of the year having to cook separately or separate meals, it is a time where they can relax and let someone else do the cooking – knowing that every effort is being made to make a delicious and safe meal for everyone. The best place to start is by filling out this form and a member of the team will be in touch with further information. Make sure to leave enough time before your travel to have back and forth communications with the culinary team. I am glad you had such a great experience vacationing at Beaches with the food challenges moms like us experience.